Description: Caged Crow specializes in building uniquely designed, high quality mobile kitchens and business units. 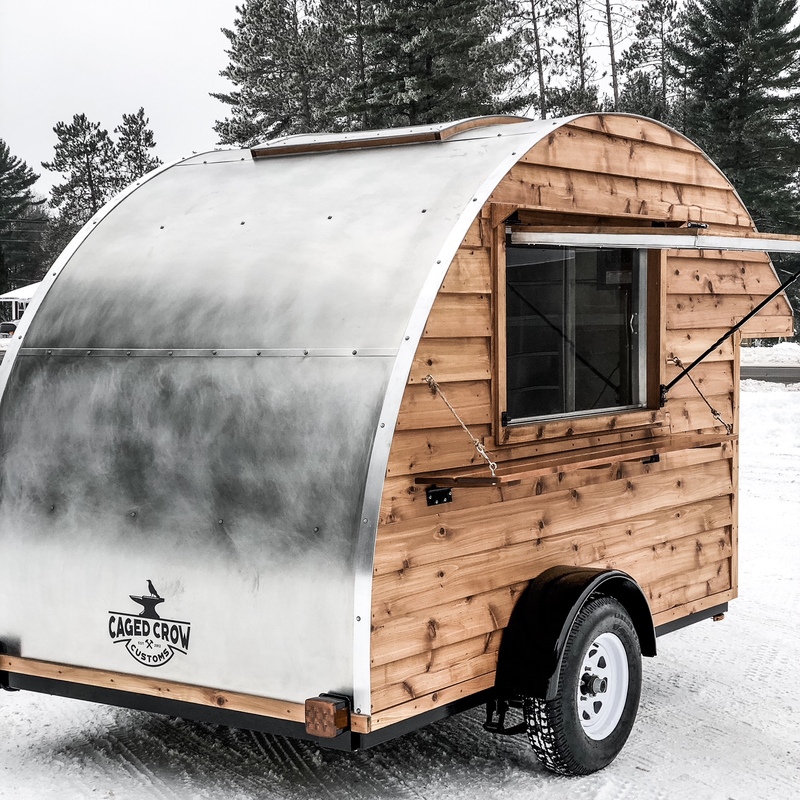 -Designing Camper Kitchens and Camper Style trailers that replicate the old, vintage style models, but will stand the test of time for its purpose. 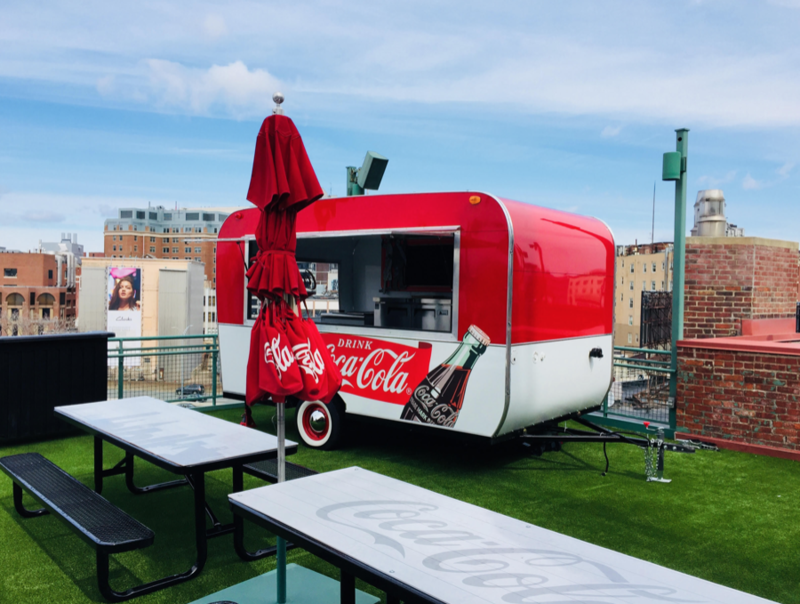 Caged Crow’s main objective is that each customer stands out from the crowd with a one of a kind, quality mobile unit that is built specifically for their brand, vision, serving and equipment needs while meeting local health and fire safety codes. Caged Crow was built upon a foundation of ‘Quality over Quantity’ and it shows in their builds and reviews. 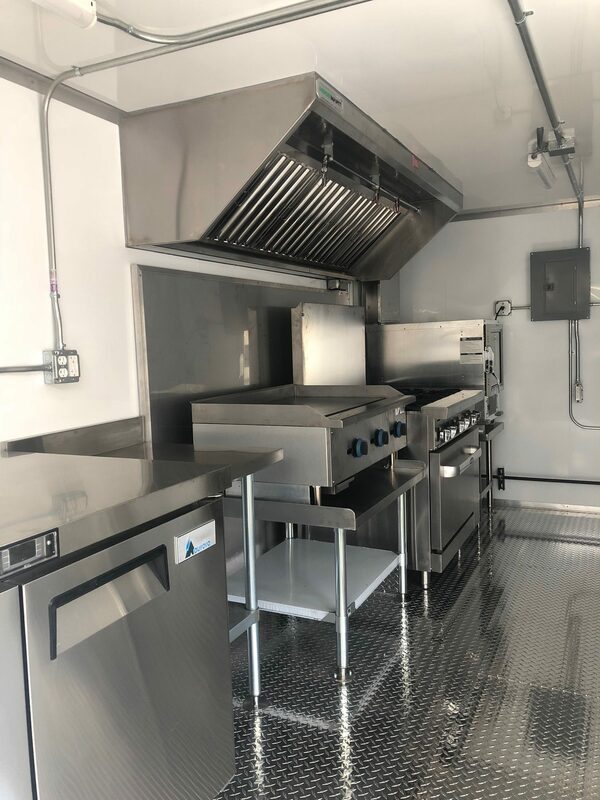 They are a small crew with a fully equipped welding and fabrication shop that intently focuses on each project, from beginning to end. Here, you won’t have to worry about getting lost in the handfuls of builds and will be confident that your build matters. Caged Crow is also skilled in metal forming (bead-roll) and shaping designs, blacksmithing, woodworking, and artistic metalwork. Every trailer is built from the ground up, to optimize quality and longevity of use for each customer. As a licensed trailer manufacturer, you will be issued a VIN# and MCO Certificate for easy titling and registration in your state. Caged Crow has a history of holding outstanding relationships with its customers. From the beginning of the build process to months after delivery, Caged Crow is always there to help. Again, read their customer reviews and browse their gallery! They take the time to focus on each customer’s build and are well known for their attention to detail. They encourage you to ZOOM IN on their photos to see for yourself. Shipping Available. 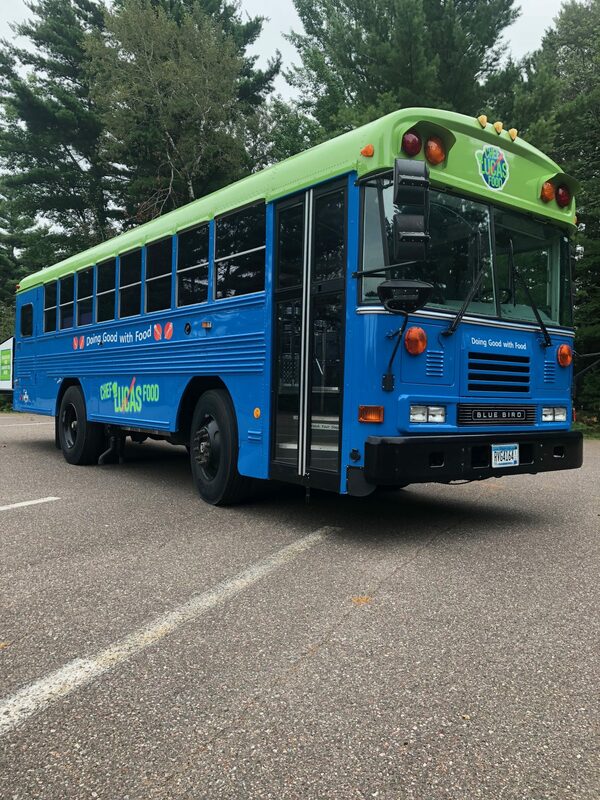 Caged Crow also works with local resorts to offer discounted Lodging and Adventure Packages for pickup at their location in St. Germain, WI. It’s a premier vacation spot (all seasons) for anyone looking to “get away” and fish, golf, bike, snowmobile, hike, boat, see waterfalls, see the Northern Lights and explore. Get in touch for more info! We decided to go with Caged Crow after wading through the sea of companies that create concession trailers. We were trying to do something unlike what was on the market. Caged Crow set themselves apart from the beginning. Not only were their designs custom, but their authenticity and attention to detail is unlike any other company. They have excellent communication and customer care. They go above and beyond even after the build is complete. They stand behind their creations without reservation. 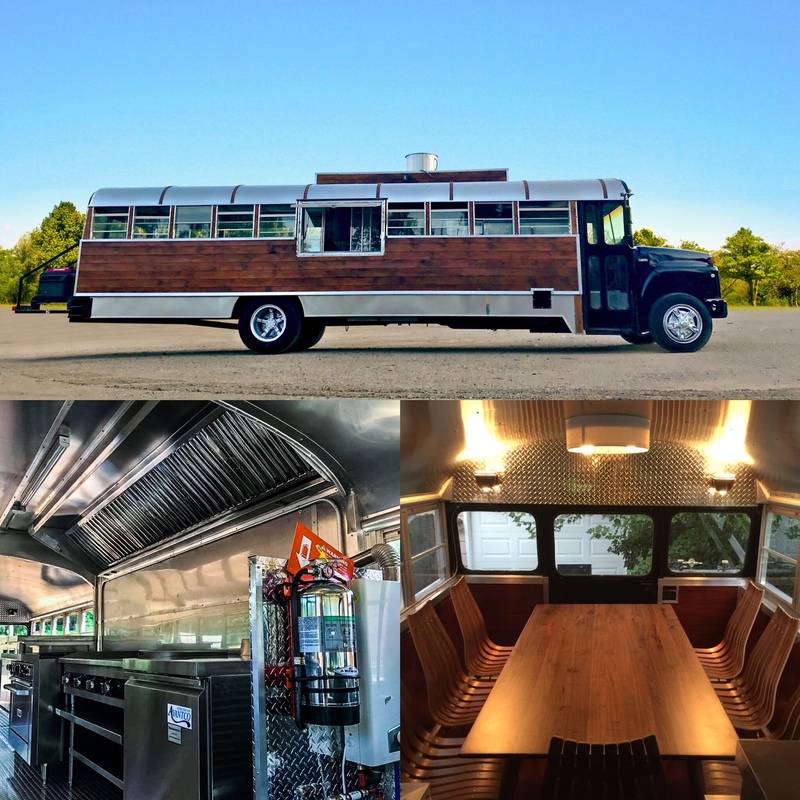 Josh and Chelsea have built an amazing company, and they put their blood, sweat, and tears into each build. 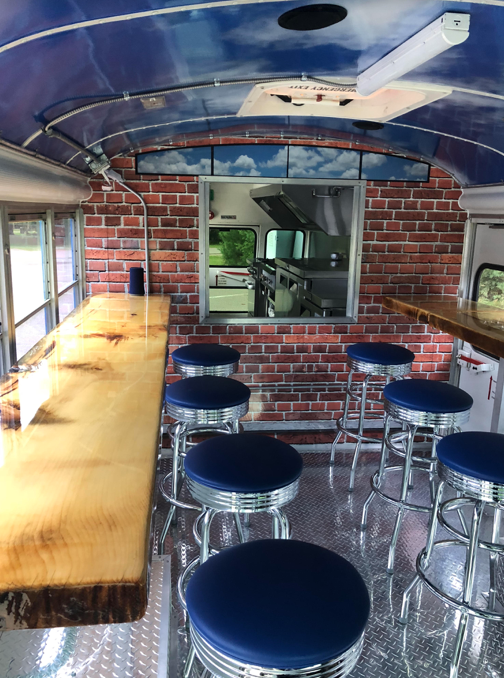 Our mobile kitchen unit is exactly what we dreamed and more. It’s unlike anything on the market. They were honest and fair of what it would take to produce what we wanted. We could never have accomplished this without the talent of Caged Crow. Thank you so much for our new baby (aka the monster kitchen unit and all of it’s beauty). We cannot wait to show it off to the world!! 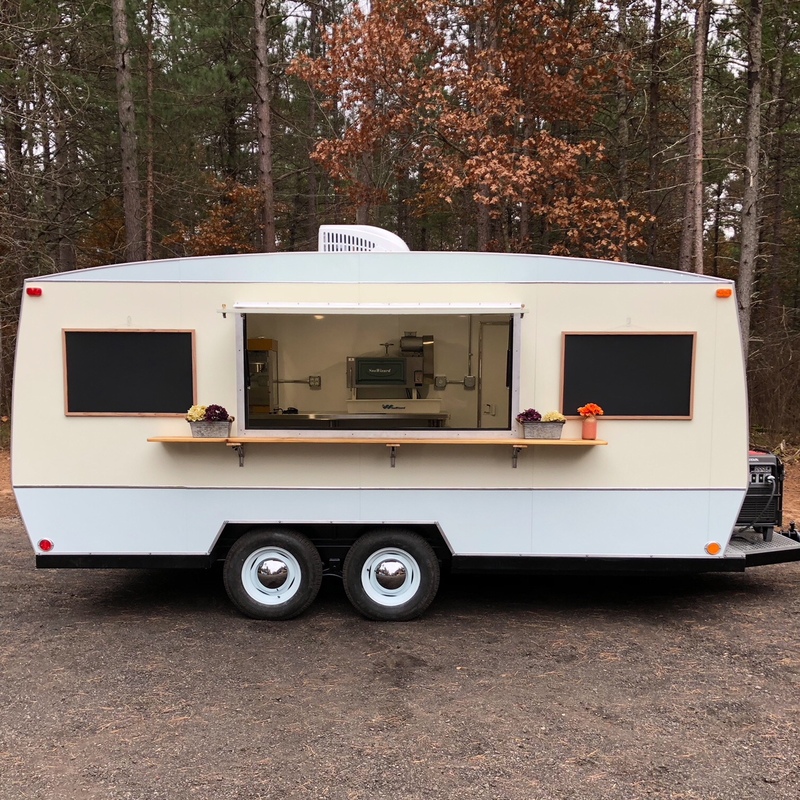 I looked everywhere to find a shop that would build a great food trailer. Living in Utah I took a chance with caged crow which is one of the newer companies I looked at and located in Wisconsin which added risk. The reason I wanted to go with Caged Crow is because of their dedication, and how passionate Josh is about creating something truly unique. 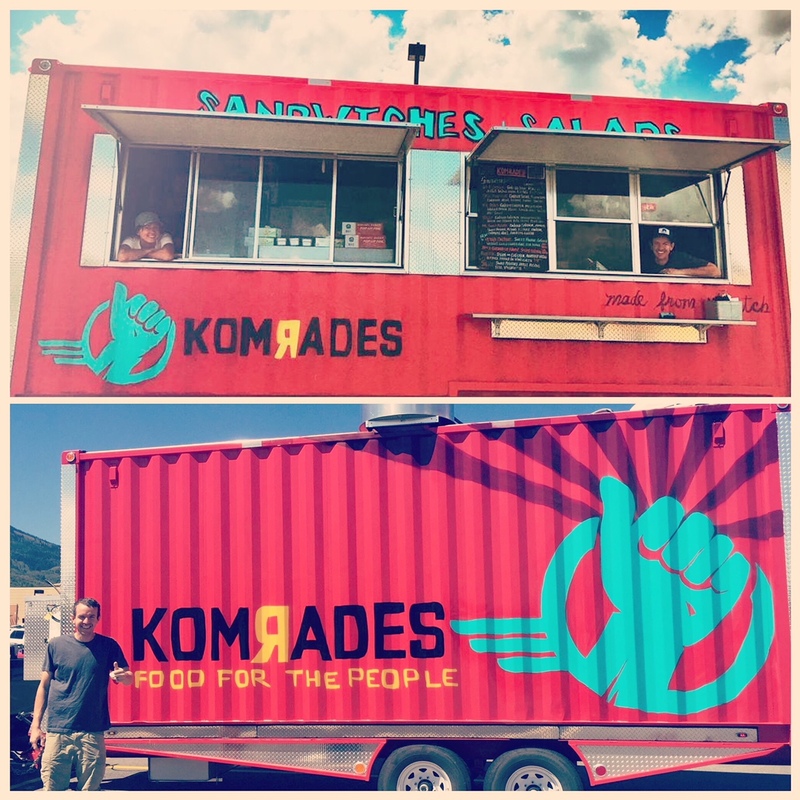 Now I own this amazing food trailer, and I could not be happier about my decision. Some really minor issues like a water pump going out, and the wrong fire extinguisher were quickly remedied by Josh footing the bill.They make great trailers, but it is really comforting to know that Josh stands by his work and remedies any issues from a distance. It really cannot get any better. If Caged Crow builds your trailer you will be happy, bottom line! My trailer is amazing! Josh was super patient with me, being new to all of this, and helped me understand some of the requirements – he even researched information on Colorado (where the trailer is going). 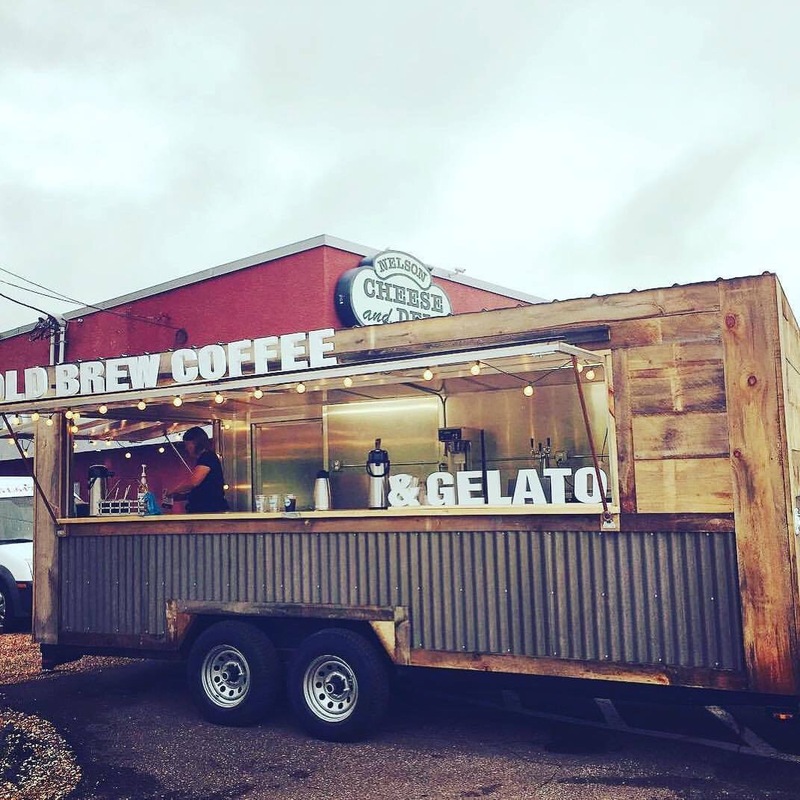 I found the right shop for my trailer – no doubt in my mind. Thanks Josh and crew!!! “Josh went above and beyond, exceeding our expectations 10 fold. We had a vision, and he pushed it to the next level. His commitment to get the job done no matter what it takes is something you don’t find everyday. We had an extremely tight deadline and he did whatever it took to make sure that was met. The attention to detail and quality of work is unmatched, and we could not be happier with the finished product. Customer Reviews: Contact us to provide more feedback. Interview with Josh Romaker, owner of Caged Crow Fabrication. Press the play button below to listen.